At 11.00 on the 11th day of the 11th month of 1918 the guns on the Western Front fell silent. The carnage of the war to end all wars came almost quietly to a close, leaving millions dead and even more suffering the effects of the war. And in the bare wastes of the battlefields grew the poppy, carpeting the graves of the fallen. It was Lord Macaulay who first drew attention to this strange symbolism and it was he who first suggested that the poppy should be known as the flower of sacrifice and remembrance. What more natural that it be chosen to remember all those who died in that war. 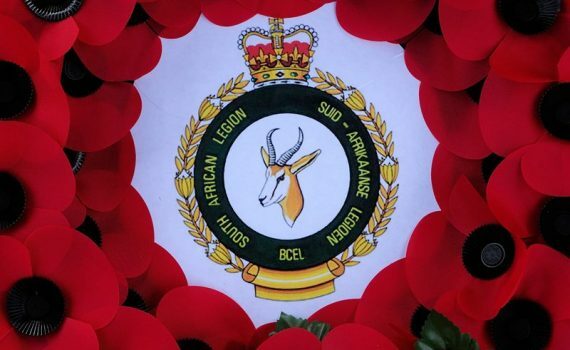 The red poppy is now an international symbol for peace and remembrance and the 11th day of November has become the day of remembrance for all the dead of both world wars, and in South Africa, those of the Korean War, the Border War and the internal South African armed insurrection.